Phytelligence, an agricultural biotechnology company revolutionizing the way food crops are grown, has signed a citrus rootstock licensing agreement with Florida Foundation Seed Producers, giving Phytelligence customers the opportunity to access true-to-type, virus and disease free rootstock that’s also citrus-greening disease tolerant. The licensed rootstocks were released as part of the University of Florida’s Citrus Fast Track Release Option. The citrus rootstocks were selected based on their positive reaction to Huanglongbing disease (HLB, or citrus greening disease) during field trials under severe HLB disease pressure. 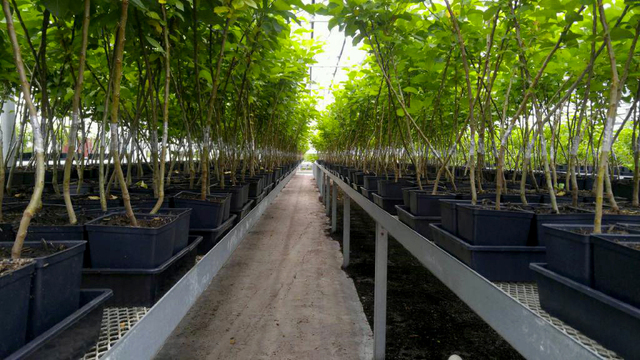 Scion trees grafted onto these rootstocks showed a reduced frequency of infection and reduced disease symptoms once infected when compared to other commercial rootstocks, according the Florida Foundation Seed Producers. As part of their emphasis on replenishing the citrus industry in Florida, Phytelligence will immediately establish Florida-based facilities to begin the rootstock initiation process. 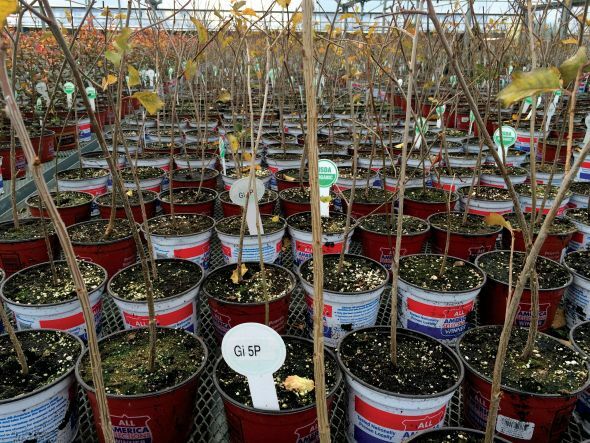 Phytelligence will also continue to genetically confirm all rootstocks that come from their facilities, eliminating the rootstock mix-up issues prevalent in the industry. In addition to being genetically confirmed via a DNA-based process, all plants produced by Phytelligence are disease and virus free. “It is absolutely critical to plant trees with rootstocks that are tolerant to citrus greening disease and the only way to be 100 percent sure the rootstocks planted are true-to-type, is to use a DNA-based certification process,” stated Dr. Fred Gmitter, Citrus Breeder, University of Florida. Citrus greening disease has plagued Florida and the surrounding areas, leading growers to rip out infected trees and scramble to plant new, disease-tolerant rootstock. The combination of infected orchards and recent natural disasters has left growers with few options to obtain citrus-greening disease tolerant rootstock to replant. With this licensing deal, Phytelligence will be able to provide confirmed true-to-type rootstock to growers at a much more rapid pace. To inquire about citrus rootstock, contact Paul Nelson at paulnelson@phytelligence.com , or at (509) 860-2400. To learn more about Phytelligence, visit our website: www.phytelligence.com. Phytelligence was founded in 2012 by Dr. Amit Dhingra, Associate Professor of Horticulture Genomics and Biotechnology Research laboratory at Washington State University. Phytelligence is headquartered in Seattle with locations in Pullman, Washington and Portland, Oregon. In 2016, Phytelligence expanded their footprint to include an 8-acre Seattle-based greenhouse space and a Portland-based tissue culture production facility. Currently, Phytelligence has 75 employees and continues to grow. Agtech startup Phytelligence, a Washington State University spinout using genetic analysis and sterile growing environments to improve the quality and volume of fruit tree rootstocks and provide other services to farmers, has raised $6.95 million in the first closing of a Series B funding round. Its earlier financial backers include angel investors from Keiretsu Forum Northwestand Element 8, though the majority of the company’s initial funding round came from individual investors from the Northwest tree fruit industry. Amit Dhingra is on a mission to make America fall in love with the pear. In a lab at Washington State University, the 45-year-old horticulture researcher has dedicated much of the last decade to the shapely fruit. Building off relationships with pear growers who say their businesses are held The Push to Make Pears the New Apples A horticulturist wants a different fruit to rule America’s grocery aisles. Building off relationships with pear growers who say their businesses are held back by a lack of scientific understanding of their product, Dhingra has mapped the pear genome, bred new trees, and even found a way to ripen the notoriously stiff fruit. Throughout this work, Dhingra—who is affectionately known to some fruit growers in the Pacific Northwest as “Yogi Pear”—has been adamant in making the case that the pear is distinct from, and maybe more delicious than, its sexier, more successful sister: the apple. Pears can’t compete with the longstanding agricultural pinup in convenience and variety, he says—but only because they ’ve been pushed to the sidelines in research and marketing. In just one example of how scientific funding is allocated, the Washington Tree Fruit Research Commission, which doles out money for fruit-related projects in Washington, approved more than $1.7 million for apples in 2016. Cherries received nearly $800,000. Pears got about $590,000. The commission funds research based on how many tons of fruit are produced in the state. Industry groups pour additional funding into research, and because researchers’ time follows the money, they spend more man-hours developing new varieties and better trees for apples. The success of Gala or Honeycrisp then sends more money back into the industry, which fuels more research, and so forth. The pear market has been flatfor the last 30 years. Fruit growers know consumer trends matter just as much in the produce bins as they do in the cereal aisle, so a lot of their efforts in breeding new varieties are dedicated to new gimmicks, like an apple that doesn’t brown. Growers wait years—sometimes decades—for better trees whose fruits stand out from the other 600 fruits and vegetables in grocery stores. But the pear market has been flat for the last 30 years. Working against better funding and more diverse breeding practices is the fact that pears just aren’t that popular among consumers in the first place. “Pears are much more difficult to get out to the consumer at the right stage to eat, ” says Kate Evans, who runs WSU’s tree-fruit breeding program and focuses mostly on new and better apple varieties. That’s because, unlike apples, pears don’t ripen on the tree. Ripening happens when starch converts to sugar—a process that isn’t activated for most pears until after they ’re picked and stored at a cool temperature for a certain length of time. Anjous, a popular variety, take 30 to 60 days of storing before they ’re ready to eat. “The apple doesn’t have to go through that post-harvest conditioning in order for it to soften and ripen and be really nice and edible, which makes the apple a much easier piece of fruit to work with, ” Evans says. In other words, pears are stuck. People don’t eat more pears because it’s difficult to tell when they ’re ripe and they don’t seem as versatile as apples. Marketers try to teach people how to pick pears and draw attention to recipes and health benefits, but so far it hasn’t worked. And that means there’s less money to find ways to make pears more appealing. That’s where Dhingra comes in. He says it’s time to address the consumption problem by offering pears in a more convenient package. And sliced pears are his ticket to success. Dhingra grew up in New Delhi, India, where he was surrounded by the struggle for food. While his parents wanted him to follow them into the medical field, he thought it would be more useful to help feed more people. 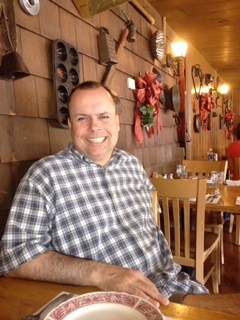 He spent the last year of his Ph.D. in plant molecular biology at Rutgers University, and then went to the University of Florida, where he studied strawberries. In 2006, he joined WSU’s faculty for two reasons: to make a name for the school’s tree-fruit genomics research and to serve the needs of the fruit industry. This suits him well; he’s become known for his conviction that basic science should go hand-in-hand with applied science. It’s important to him to explain how and why something works, as well as to find a way to change or leverage that feature for growers. Dhingra’s research is tangible, says Kevin Moffitt, president and CEO of Pear Bureau Northwest, the marketing organization for fresh pears grown in Washington and Oregon. “He definitely has a soft spot for pears. He’s recognized a void where there hasn’t been a champion.” In a push to introduce sliced pears, Dhingra joined with Crunch Pak, the same company that popularized sliced apples—the ones that became the healthy alternative to chips or fries at fast-food restaurants. In the last couple of years, they’ve tested a ripening compound that helps pears ripen more predictably. Federal funding last year is allowing them to conduct taste tests. Sliced apples changed the game by finding a way for fresh fruit to compete with novelties like Go-Gurt. Between 1980 and 2005, apple production jumped from 4.9 billion pounds to 6.6 billion pounds, thanks in large part to the introduction of apple slices, according to the U.S. Department of Agriculture. Sliced apples contribute more than $250 million, or a tenth, to the apple market each year. Crunch Pak claims Americans eat enough apple slices each year to average 65 whole apples per person. Pears are difficult to slice, package, and sell because of the way they ripen. But Dhingra has found a way around the problem using a two-step chemical approach. First, he applies SmartFresh, a compound already used on apples that blocks the ripening hormone ethylene. This puts fruit into a state of “ suspended animation, ” Dhingra says, which allows them to be stored yearround. But treated pears never get soft and juicy like they should (“You can play baseball with those pears, ” Dhingra says). So Dhingra’s lab developed a second compound that reverses the effects of SmartFresh after it’s been applied. The idea is that pears can be treated with SmartFresh to be stored and sliced while they ’re hard, then brought back to life long enough to be sold. Using industry funding, Dhingra has been working with Crunch Pak to test sliced pears. After figuring out how much of the compound to apply, they performed a large-scale taste trial at the Food Innovation Center in Portland. So far, he’s seen a positive response. They ’ll conduct tests for another year while waiting for a patent to be finalized. From there, his hope is that it gets licensed for production. 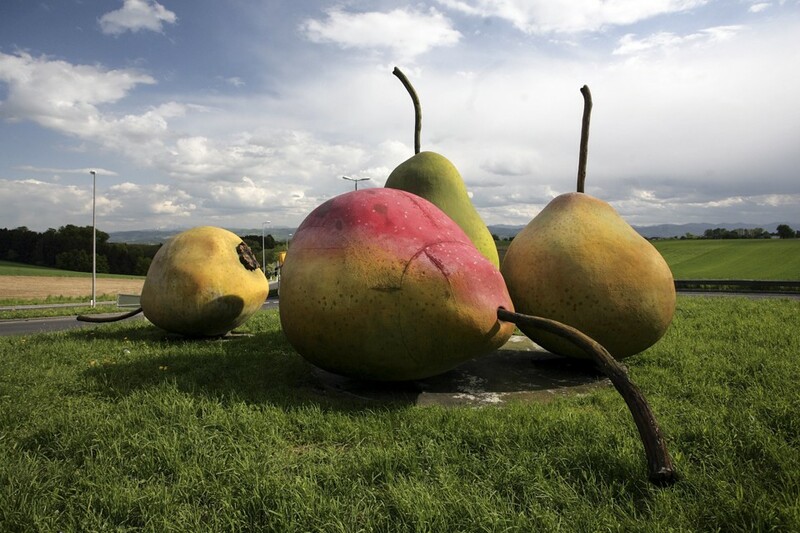 Moffitt, who is optimistic yet conservative in his expectations of what slices could do for the pear market, guesses they could help the market grow by 9 percent in the near future. “It really depends on which variety and which sizes are pulled out, ” Moffitt says. Growers will sell fruit in whatever form they can, whether fresh or processed, like in a fruit cup. Fresh pears make the most money, but not every pear makes the cut for grocery stores—it depends on the size and condition. So selling sliced pears may not fetch a higher price than selling a fresh, whole pear, but it could still mean a higher price than other processing options. In Washington’s Wenatchee Valley, Josh Koempel turns his pickup onto a gravel path flanked by pear trees. His orchard is a picture of progress in the pear world, he says: Three generations of trees exist in this one area, and the differences in how they were planted are startling if you know what to look for. Like everything else about pears, the best way to grow the fruits is poorly understood. For decades, apples and cherries have benefitted from trees bred to be small, because shorter trees are easier to work with. Growing systems that space their branches uniformly apart have allowed apple growers to plant trees closer together in ways that capture more light, so they produce more quality fruit in less space. Koempel doesn’t wantto be content with a consistent but underwhelming output; he wants pears to be stars. Pears, meanwhile, still grow on taller trees that take up more space. The lack of innovation stems partly from how reliably pear trees produce fruit in the first place. “Pears are pretty steady in terms of return. … Apples are more volatile. Cherries are crazy, ” Koempel says. 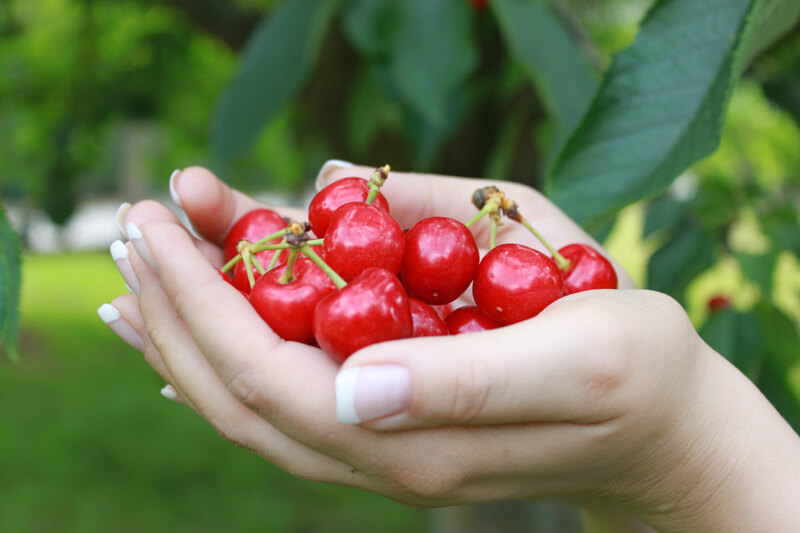 “If it comes over and rains today on top of a cherry crop, the cherries will absorb water so fast, they ’ll crack.” Because growers are content with the fruit’s stability, they ’re less inclined to change and innovate. “Sometimes your greatest strengths are also your biggest weaknesses, ” Koempel says. But like Dhingra, whom Koempel met in 2007 and convinced to map the pear genome, Koempel doesn’t want to be content with a consistent but underwhelming output; he wants pears to be stars. He’s trying to see how densely he can plant pear trees to get the best, most consistent fruit while making picking as efficient as possible. In his orchard, the oldest section of pear trees includes plenty of elbow room and gnarled branches jutting out in every direction; the aisle is probably big enough for Koempel’s pickup. Another block, which his dad put in about 20 years ago, includes trees planted a little closer together with branches that grow with slightly more uniformity but still cast shadows on fruit growing lower on the tree. The newest section is an experiment. It consists of a few rows of one pear variety, then another, in a system that’s used by apple growers but doesn’t exist for pears. The trees are trained to grow two-dimensionally on a trellis, with branches reaching to the sides but not to the front or back. As they grow, Koempel coaxes them out diagonally, leaning toward the open aisle between rows, so the fruit captures light more evenly. “A lot of what’s driving what I’m doing in pears right now is making people more efficient by the way we manipulate the system, ” Koempel says. “The problem with agriculture, at least in the tree world, is it takes a long time to change. Computers double every six months. For us to go from here to there is a 10-year endeavor. By the time you get things changed and up to speed to where we think we’re doing good, you’re always gambling. Did the American consumer decide to go somewhere else?” Dhingra thinks expanding the pear market through sliced pears could work backwards and invigorate the rest of the growth and distribution system. Developing a new product is faster than addressing the more basic needs of growers. But it’s only one of many projects he’s pursuing that might be able to bring pears closer to apples’ level—and that could shape the fruit-growing industry on the whole. In addition to wanting more people to eat pears, the pear industry wants new rootstocks—the bases of trees that genetically determine their characteristics. When a grower plants an orchard, he buys rootstocks, then takes cuttings from other trees and grafts it onto them. The cutting dictates which variety the tree will produce, like Bartlett, Anjou, or Comice; the rootstock determines the tree’s size, the spacing and angle of its branches, when it will first produce fruit, and so forth. Pear growers are on the hunt for rootstocks that give them hardy, dwarfed trees that produce fruit early, with branches at nearly 90-degree angles. But planting new pear varieties hasn’t been a priority for growers, in part because they don’t have rootstocks with the features they want. Since new orchards are expensive, growers don’t want to take that step until they ’re certain that they—and the public—will like the result. Traditionally, the process of developing new rootstocks that can be used by growers takes 20 years or more. But time is an impediment Dhingra has already found a solution to. During his research, his lab stumbled upon a way to grow plants more quickly without soil. He commercialized the method and formed Phytelligence, an agriculture biotechnology company, in 2012. The company grows plants in jars in a nutrient-rich solution. After a month, each plant can be cut and multiplied into two or three pieces.